French with English subtitles. 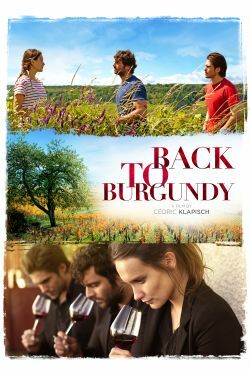 Three siblings reunite at their family home in Burgundy to preserve the vineyard that ties them together in this tender and modern tale of change and resilience from director Cédric Klapisch. French with English subtitles. After ten years spent traveling the world, Jean learns of his father’s imminent death and returns to the family vineyard to negotiate the inheritance with his strong-willed sister, Juliette, and his responsible younger brother, Jeremie. As four seasons and two harvests go by, the siblings have to reinvent their relationship and learn to trust each in this tender and modern tale of familial strife and resilience from acclaimed French director Cédric Klapisch.